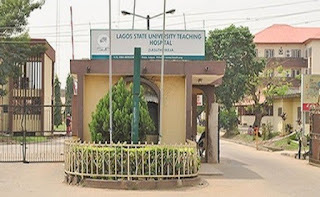 The Lagos State University Teaching Hospital (LASUTH) in December 2015 carried out the first successful Bone Bridge Surgery in West Africa as well as successful Cochlear Implant surgeries on three deaf patients without the support of foreign doctors, the State Government said on Tuesday. The State Government, through LASUTH, also had its first successful Kidney Transplant carried out by the Hospital’s team of Urologists and Nephrologists in November 2015 and discharged the patient in good condition on December 1, 2015, while another transplant is being planned. The State’s Commissioner for Health, Dr. Jide Idris, who made this known at the ongoing Ministerial Press Briefing held at the Bagauda Kaltho Press Centre in commemoration of Governor Akinwunmi Ambode’s one year anniversary, said just in eleven months, the State Government recorded remarkable feats in the health sector due to the purposeful leadership and support of the Governor. He said in the period under review, LASUTH in collaboration with Vision Care and South Korean Community in Nigeria provided free cataract surgeries for 120 Lagosians and treated 250 outpatients between November 9 and 13, 2015 with 100 percent success rate, while under the blindness prevention programme, a total of 7, 250 patients with varying ophthalmic conditions were screened at 29 different community screening venues out of which 4, 867 representing 67.1 percent were given free glasses. 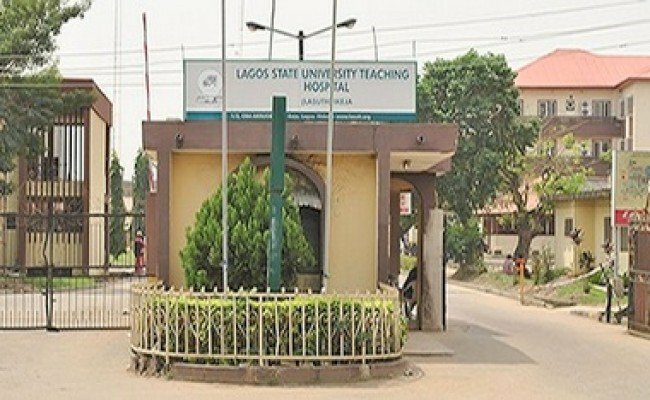 The Commissioner said apart from the fact that LASUTH won several international awards of excellence in the period under review, the Departments of Internal Medicine, ENT, Psychiatry and Pediatrics were granted accreditations by the National Postgraduate Medical College of Nigeria, while the first female Oncologist in Nigeria, Dr. Fatiregun Omolara emanated from LASUTH. While reeling out the various completed and ongoing projects in medical centres across the state, Idris said a new Critical Care Unit at LASUTH and Lagos State University College of Medicine (LASUCOM) has been practically completed and ready for commissioning, while the contract for renovation and extension of the Old Ayinke House has been re-awarded with immediate commencement of work, as well as the Psychiatry Ward. In the secondary health care, the Commissioner said projects already completed included the purchase of 26 Ambulances for General Hospitals and LASUTH, procurement and installation of 26 Mobile Toshiba X-ray machines, construction and equipping of Accident and Emergency Centre in Ikorodu General Hospital, construction of Sewage Treatment Plant in Apapa and Somolu General Hospitals, installation of internet facility at the Health Service Commission for improved effectiveness and seamless performance of its activities, while major renovation works are currently ongoing in all the general hospitals in the state, as well as LASUCOM and School of Nursing Hostel, Igando. Under the school health intervention programme, Idris said 16, 124 pupils in 33 public primary schools in 22 Local Government Areas and Local Council Development Areas in the State were screened for medical, dental and ear, nose and throat morbidities, while 11, 327 were treated. He also said that 1, 718, 400 milk sachets were allocated to an average of 56, 297 pupils in 1, 018 schools across the state. ”I want to use this medium to express the profound gratitude of the Ministry to the inexorable Governor Ambode for providing excellent leadership qualities towards making the health sector in the state compare favourably with international standards,” the Commissioner said. Idris also appreciated contributions of donor agencies, development and implementing partners, WHO, UNFPA, UNICEF, PATHS 2, JICA, FHI/GHAIN, SuNMap, APIN, MSF, ALCO, IHVNEU-PRIME, Measure Evaluation, HSPF, MDCN, NMA, AGMPMPN, PCN, NANNM, Association of Laboratory Scientists and health workers across the state.